Given the travesties the church has committed in the past and the nonsense it still gets stuck in today, it’s tempting to just chuck the whole notion of religion into the waste bin of failed concepts. Mighty tempting, indeed. Especially when we ourselves are also guilty of many of those inconsistencies. Millions upon millions of people are doing just that—chucking religion. How often have you heard this one: “I’m spiritual but not religious”? That’s a relatively new concept. I’m sure I never heard a statement like that during my high school years or anytime soon after, but it’s becoming very common. Among younger people, the shift is even more stark. For eighteen- to twenty-nine- year-olds who grew up regularly attending church almost 60 percent have quit going. [v] In other words, we’re not connecting what we say we believe to what happens in church. Or we’re chucking the beliefs entirely. Still, people cling to the idea of being spiritual, even if they’re not interested in formal religion. I know atheists and agnostics who are deeply, genuinely interested in spirituality. I know Christians who feel that going to church is actually an impediment to their spiritual growth. Religion, as we understand it, is becoming less and less valid to us, but our hunger for real, deep, sustaining, and refreshing spirituality is as voracious as ever. People who profess a nonreligious spirituality might say that they encounter the spiritual when they encounter mystery, when they are struck emotionally by the beauty of a sunset or experience a moment that is, for reasons that remain obscure, transcendent. Wonder has a lot to do with it. Often, such people are particularly sensitive to the essential fraternity of humanity and the magnificence of the natural world. Fragility touches them. Creativity moves them. They tend to be curious and want to be open to possibilities that others might consider absurd or valueless. They believe that the universe is made of more than atoms and molecules, and that life of any sort is precious. While the sacraments of baptism and Communion may have no value to them, eating a square of chocolate (dark, probably—antioxidants and all that) or paddling a canoe along the shore of a quiet lake would seem to them like much the same thing. They don’t want to be bound by rules that don’t make sense to them and are set for them by someone else. They want to be free. As attractive as such an unfettered spirituality is, it does present some problems. And there’s the rub. As much as we might like to at times, we can’t divorce our inner, individual, spiritual lives from our outer, communal, material lives. When we try, or actually do separate what we say we believe from how we live day to day, we do violence to both ourselves and our society. We dichotomize our own souls. Those four out of five Christians identified by Barna as admitting that they aren’t really deeply committed to their faith are living with a destructive dissonance at the very heart of their lives. By distancing themselves from whatever they find demanding or contradictory about the tenets of their religion, they are also cutting themselves off from not only the benefits of it but also, in some measure, from their sense of identity as the people of God. It’s understandable, but it’s tragic. This kind of gap can lead to us succumbing, usually in simple ways, to the blandishments of the culture around us. When our actions don’t line up with our beliefs, we begin to feel shame about those inconsistencies, and that starts a destructive cycle. 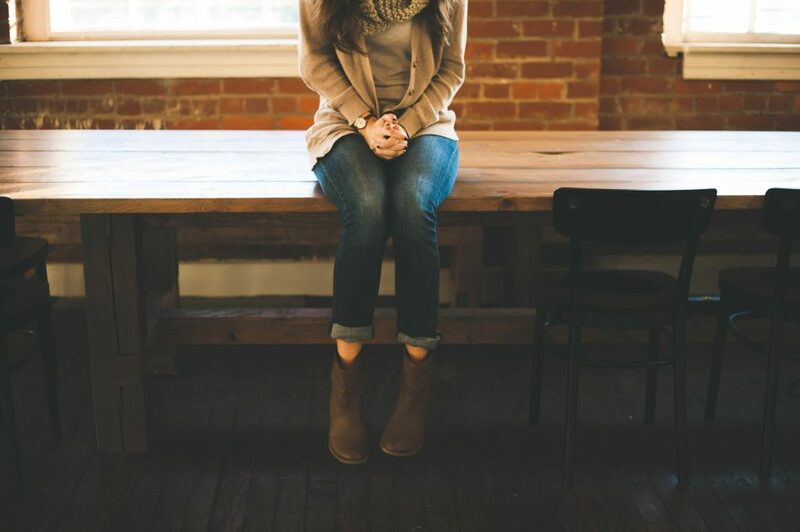 We isolate ourselves more from the people around us for whom the church thing seems to work—and it does seem to work for some, doesn’t it?—and then we feel guilty about that, too. All those well-ordered lives and those shiny faces, brightly turned toward the pastor on Sunday morning. It must work for them; it just doesn’t work for me, is how our thinking goes, and that means there must be something wrong with me. I don’t trust enough, read Scripture enough, pray enough . . . the Bible study group is boring, and even when the preacher is lights-out good, I can’t remember what he said three days later. Seriously, how many times have you listened to a sermon that significantly changed your life? Once? Twice? Never? Listen, I preach a lot—at Sanctuary, other churches, and conferences. Let me tell you a secret: It’s not working very well for most of the shiny-faced folk either. As a visiting speaker—a stranger—I routinely have people tell me something that they feel they can’t share with anyone in the church. Those bright eyes and big smiles are often hiding the same kind of disappointment and resignation that you and I so often feel. Click the book to read chapter one or learn more. It’s clear, if you read through the Barna material, that the majority of Christians are pretty dissatisfied with their spiritual lives. Maybe they avoid deep commitment simply because it’s inconvenient and less entertaining than movies or March Madness. Or because of that desire to be free from the expectations of others. Or they’ve tried the Bible studies and small groups, and they didn’t work. But maybe it’s because what they are being asked to commit themselves to doesn’t ring true or isn’t challenging or fulfilling enough. Here’s what conventional church provides us: some instruction in what the Bible says and how that should affect our lives; some cool and entertaining stuff for the kiddies, so they don’t go looking for trouble; some rituals that either comfort us or ratify some of life’s big events; a handful of people who will pray for us, if things are going so badly that we become desperate enough to submit the bare facts for publication in the church bulletin; a group of people who remind us that we are not alone in believing this wild story about God becoming a man, and so on; the occasional opportunity to do something good (but simple, not too demanding) for people elsewhere who are struggling; a little inspiration once in a while, if we’re lucky. In our guts, we know that this is not all the church is supposed to be. 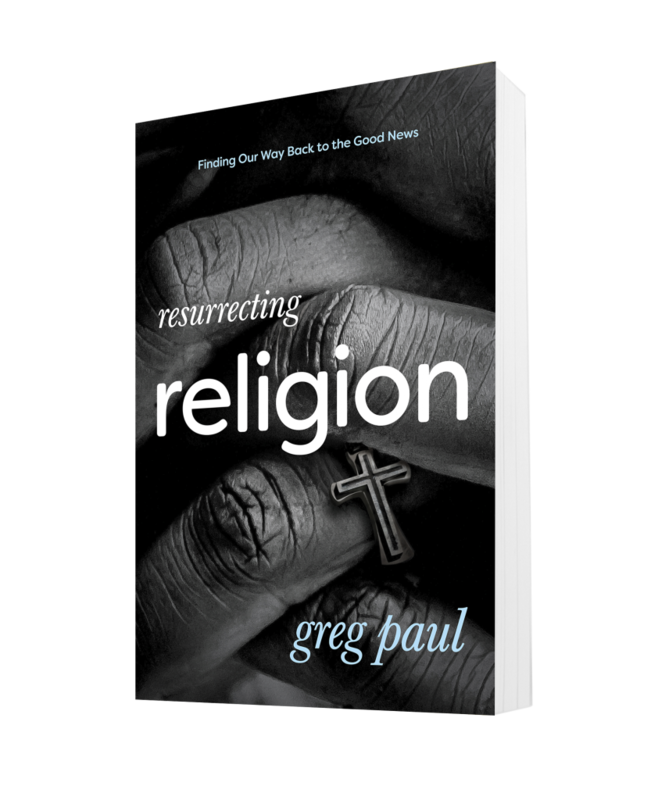 You’ve been reading with Greg Paul from Resurrecting Religion: Finding Our Way Back to the Good News. Learn more about Greg and his church at resurrectingreligion.com. “With raw vulnerability and buckets full of hope, Greg Paul will restore your faith in the church.” – Steve Wiens, Pastor and Author. See more praise for Resurrecting Religion here. [i] “Growth of the Nonreligious,” Pew Research Center, July 2, 2013, accessed May 17, 2017, http://www.pewforum.org/2013/07/02/growth-of-the-nonreligious-many-say-trend-is-bad-for-american-society/. [ii] “2011 National Household Survey: Immigration, Place of Birth, Citizenship, Ethnic Origin, Visible Minorities, Language and Religion,” Statistics Canada, updated May 9, 2013, accessed July 18, 2017, http://www.statcan.gc.ca/daily-quotidien/130508/dq130508b-eng.htm?HPA. [iii] Emma White, “Religion in England and Wales 2011,” Office for National Statistics, December 11, 2012, accessed July 18, 2017, https://www.ons.gov.uk/peoplepopulationandcommunity/culturalidentity/religion/articles/religioninenglandandwales2011/2012-12-11#changing-picture-of-religious-affiliation-over-last-decade. [iv] Robert Ricciardelli, “God Transforming Lives, a 10-Stop Journey by George Barna,” Patheos: The Converging Zone, March 17, 2017, accessed May 17, 2017, http://www.patheos.com/blogs/robertricciardelli/faith/god-transforming-lives-a-10-stop-journey-by-george-barna/. 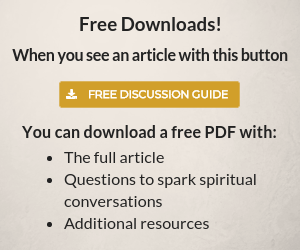 [v] “Three Spiritual Journeys of Millennials,” Barna, June 3, 2023, https://www.barna.com/research/three-spiritual-journeys-of-millennials/. Heads up: I always prefer signed articles and correspondence over anonymous ones. Unsigned communication always raises a red flag for me. It says something’s not right here, what is it? Suggestion: include the name of the person who writes the article. Hi Barry, we always mention who the author is at the bottom of the article. This one is by Greg Paul, a pastor in Toronto. I share the gospel lots. One of the questions I ask sometimes is are you a religious person. Yes a lot of religious and spiritual people out there. Many times my next question (after some converrsation) is have you ever been born again. Most have not and don’t know what that means. I let them know they need to repent and trust in Jesus Christ. (That is what He called us to do) Lots of people that attend church are not born again but very lost. By the way, it is not a prayer, but a heart change. Show me in scripture where Jesus or anyone else prayed with anyone to get born again or saved. God led me to a spirit-filled church after I attended a highly religious dead one for almost a year. 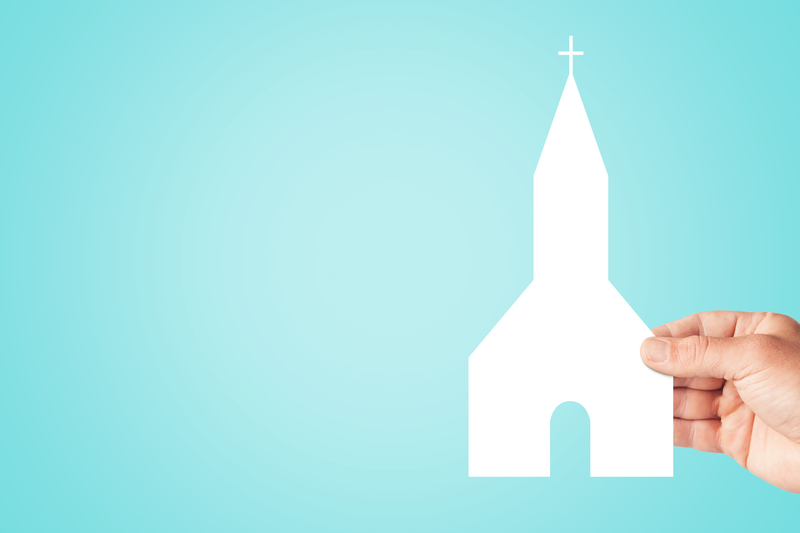 One of the problems is that “church” has morphed into something quite different from what we find in Scripture. Neither Jesus nor any of His followers later built buildings and expected people to come to them. They took their ministries to the people. They gathered together and ALL ministered one to another, not putting one individual on a pedestal, or creating a “show” for the entertainment of the body. The church that follows the Biblical model is extremely rare, most just hold to the tradition of man. Great points John. Based on your response, I think you’d really like Resurrecting Religion.